Thank you very much for your letter of 8/25 and the enclosed thorough report about the events in the Hastenrath-Stollberg area. I am glad to hear that you and your wife are doing well. The same goes for us. I hope that you had a nice vacation in South Tyrol and that you have got back to Neuenburg safely. I am amazed by your memory, given that the events have been over 30 years ago. It is admirable how extensively you have written about the area and the battles of the regiment. It may be derived from the fact that you were there during the war and have gone back to the area afterwards. I have forgotten most of it. But your letter and report have brought so many memories back to me. After having been promoted Lieutenant at the officer school Milowitz near Prague, I was sent to the training ground Putlus/Holstein. Lots of anti-tank gun firing-practice there. I wasn't happy and wanted to get back to the core regiment. I got permission to do so quickly and I was transferred to Bergheim near Cologne to the regimental reserves. That was in early September. Then I was sent to the regiment around September 20. I arrived in the sector Hastenrath (Kalkofen). As far as I remember I received command over 3rd Company. It was deployed between Duffenter and Hastenrath. About 60 men strong. The command post was an artillery bunker in the Westwall, Hill 259. The whole sector of the company was under heavy artillery fire of the Americans. The command post was the target of fog grenades and thus we were forced to leave it repeatedly. I set up an alternative command post in the woods to the rear. The Westwall bunkers were unsuited to lead a company because of the way they had been built. Every day the company suffered heavy casualties due to artillery fire (wounded and dead). Eventually, there were only 40 men left. I received orders from the battalion CO to lead an assault squad to the Hochweger Farm. Objective: a) has the Hochweger Farm been occupied by the enemy? and b) take prisoners. I led the assault squad of 12 men to the Kalkofen-Steffenshauschen path. Suddenly the patrol made contact with the enemy at Hochweger Farm and a fierce hand-to-hand battle flared up. None of the men returned to my post; they must have either died or been taken prisoner. Under heavy machine-gun fire I reached the forest behind Duffenter, I hadn't been wounded but it was a very difficult situation nevertheless. About mid-October I received the order to take over the Duffenter-Donnerberg-Stolberg sector with my company. Command post was in a cellar at Main Street. Stolberg was held in part by us and in part by the American. Again the order to take prisoners. I managed to advance (underground) to the movie theater. We find and capture three Americans in the theater (one of them said his name was Meier). As far as I recall I received orders to retreat late October or early November 1944. We fell back on a prepared position between Eschweiler and  Weisweiler. The new command post was in an old factory building. Severe casualties combined with the enemy's superiority forced us out of the position within days. South of Weisweiler (in the woods behind the brickyards) we faced hand-to-hand combat with strong American forces that wiped out my company. 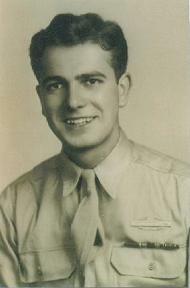 I was seriously wounded on 11/26/44 in chest and stomach (right half of the body) by shrapnel and machine pistol rounds. I was very fortunate to be transportable and was taken to the military hospital in Bergheim. After emergency surgery I was flown out to Greiz in Thuringia that same night. My dear Hans, should you feel that these memories need to be changed or improved please feel free to make the necessary corrections.